Patients with stable angina taking the heart-rate reducing drug ivabradine (Corlanor) had similar self-reported physical limitation scores as patients taking placebo,but better quality of life on other measures in a substudy of the previously reported SIGNIFY trial. There was no difference between ivabradine- and placebo-treated patients on the primary substudy outcome of change in self-reported physical limitation score at 12 months,Michal Tendera,MD,of the Medical University of Silesia in Katowice,Poland,and colleagues found. But patients taking ivabradine did report having less frequent angina and better perceived overall quality of life,the researchers reported online Dec.22 in the journal Circulation: Cardiovascular Quality and Outcomes. "This is remarkable,insofar as the SIGNIFY population had stable disease,for which they were receiving a good level of background antianginal therapy,and had no indication for revascularization at study entry,implying that their QoL was acceptable at the outset of the study," they wrote. Initial results from the SIGNIFY trial showed no improvement in outcomes in stable coronary artery disease (CAD) patients without heart failure when ivabradine was added to standard therapy but,rather,an increased likelihood of death or heart attack in patients with activity-limiting angina. "While many clinicians probably wrote off this drug for angina [after the initial SIGNIFY findings] it probably deserves another look," Andrew Freeman,MD,director of clinical cardiology at National Jewish Health in Denver,commented to MedPage Today. "There appears to be a subset of [angina] patients who respond to this drug,but it is not clear who that subset is and what their response is," cautioned Freeman,who was not involved with the SIGNIFY substudy. "There appears to be a role for this drug in heart failure,but I don't think we really know yet if it has a role in the treatment of angina.We haven't really figured out how to use it." The FDA approved the drug in mid-April for the specific indication of reducing hospitalizations in patients with worsening heart failure. 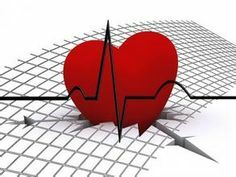 In an editorial commenting on the substudy findings,Colleen Norris,PhD,and Keven Bainey,MD,of the University of Alberta,were more positive,saying that the finding of a quality of life benefit in patients with stable angina already receiving evidence-based anti-anginal treatments suggests a role for ivabradine in this population. They also called for patient-reported,health-related quality of life outcomes -- especially from randomized,controlled trials -- to play a larger role in decisions about treatment. "There is an impressive body of evidence demonstrating that patient involvement leads to increased knowledge about treatment options,more realistic expectations regarding disease course and treatment,improved adherence to therapy,and enhanced patient satisfaction," they wrote. "It is now time to empower clinician's knowledge of treatment options that have been reported by patients to improve symptoms,angina stability,treatment satisfaction and overall QoL in patients with chronic stable angina." The substudy included 4,187 of the original 19,102 patients enrolled in SIGNIFY for whom quality of life (QoL) was evaluated using the Seattle Angina Questionnaire and a generic visual analogue scale on health status.Roughly half of the patients (n=2,084) were treated with ivabradine in the randomized,double-blind,placebo-controlled study. There were no significant differences between the two treatment groups at baseline,and both groups experienced improvements in QoL during the study. The difference in physical limitation score was significant at 6 months among ivabradine-treated patients (P=0.048),but change in this score at 12 months not significantly different than with placebo (P=0.085). At 12 months,the visual analogue scale and the other Seattle Angina Questionnaire dimensions were higher among ivabradine-treated patients,notably angina frequency (P<0.001) and disease perception (P=0.006). Patients with the worst QoL at baseline had the biggest improvement in QoL at 12 months,with improvements in physical limitation and a significant reduction in angina frequency (P=0.034). The effect on QoL was maintained over the study duration,and ivabradine patients had better scores on angina frequency at every visit to 36 months. "Our results indicate that antianginal treatment with ivabradine has a positive effect on a range of QoL indices in patients with angina,despite the lack of the long-term effect on physical limitation," the researchers wrote. But Freeman cautioned that it is not clear if all patients with stable angina would benefit from the drug or just a specific subset.He said more research is needed to examine this question. He added that using QoL as a measure of efficacy in patients with angina is complicated by the high incidence of potentially-confounding depression in this population.